In 2012, surgeons at the Hospital for Special Surgery performed more than 8,000 hip and knee replacements. The hospital performed less than 1,000 revision surgeries, but Geoffrey Westrich, MD, research director of adult reconstruction and joint replacement service at Hospital for Special Surgery in New York, predicts that number will continue to increase. Dr. Westrich discusses the indications for hip and knee revision surgery and the challenges these procedures present. 1. Implant recall. Implant recall in knee replacement surgery has been relatively rare, but the orthopedic community has had to address the matter a great deal in hip replacement surgery. Implant recall occurs when an implant fails to stabilize, experiences issues due to its bearings or corrosion develops in a specific design issue related to mixed metals. Metal-on-metal bearings can cause adverse tissue reactions and surgery can call for a conversion to a ceramic-on-plastic bearing or metal-on-plastic bearing. "The most recent recall issue has been related to corrosion between mixed metals. A titanium stem with a modular cobalt chromium neck has resulted in adverse tissue reactions that require the removal of the hip prosthesis," says Dr. Westrich. It is also not uncommon for implants placed over a decade ago to exhibit signs of wear on the polyethylene plastic bearings. These patients can be subject to reabsorption of bone around the implant area. "We need to protect the longevity of prostheses," says Dr. Westrich. 2. Implant removal. Surgical expertise during the removal of a defunct implant is critical to minimize the trauma to the surrounding soft tissue and bone. "Many surgeons could remove an implant, but the preservation of the remaining bone and surrounding soft tissue is crucial," says Dr. Westrich. Removal of the implant can cause fractures to the remaining bone, bone loss and damage to the surrounding soft tissue envelope. If too much damage is done to the soft tissue, there may be an inadequate amount left to support the placement of a new, stable implant, or the new implant can be become unstable and dislocate. 3. Bone loss. Bone loss or damage occurring because of implant removal is particularly important to avoid because revision cases often already suffer from significant bone loss. "It is not uncommon in hip and knee replacement revision surgery that there is extensive bone loss from either infection or osteolysis," says Dr. Westrich. Further damage to the bone will have a negative impact on the outcome of the surgery and surgeons who perform revision surgery must be highly skilled in addressing bone loss. 4. Procedure setting. Revision surgery is more technically demanding than an initial primary joint replacement. "Many general orthopedic surgeons perform primary joint replacements, but it is much less common for them to perform hip and knee replacement revision procedures due to the complexity of the surgery and the need for specialized equipment," says Dr. Westrich. "Due to the complexity of revision surgery, it is best performed at a tertiary care joint replacement center that that routinely performs revision surgeries," says Dr. Westrich. A specialized center will not only have experienced surgeons, but the necessary equipment as well. Hospital for Special Surgery has a bone bank stocked with the necessary material, both morselized bone graft and bulk allograft, to address the bone loss that can occur due to infection or osteolysis. A smaller hospital may not have immediate access to the varying types of implants that are used in revision surgery and specialized equipment, such as specialized extraction tools, and special cement removal equipment, required to perform the procedure. "We often see, unfortunately, many failed attempts at revision surgery done by surgeons at hospitals that just don't have the right equipment or surgical experience to handle such complex cases. 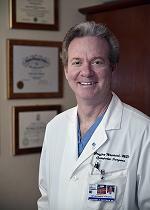 It is not uncommon that I fix a problem that could have been avoided altogether," says Dr. Westrich. "Patients don't always want to travel to a specialized center, but outcomes can be improved if patients do come to a top center for a thorough evaluation, proper diagnosis, and appropriate surgery. The literature clearly demonstrates that surgery performed at a joint replacement center, such as Hospital for Special Surgery, has a greater likelihood of success and less risk of complications. We highly encourage all patients to obtain a consultation at our institution prior to contemplating any surgery."